NeurOne EEG for fMRI/TMS - Cortech Solutions, Inc.
NeurOne Tesla provides precise signal measurement with 24-bit AD conversion, precise temporal synchronization with the scanner clock enabled by Tesla’s 80 kHz sample rate and an optimal combination of the spatial information from fMRI with the abundant temporal information from EEG. NeurOne Tesla is innovative research system developed by Mega Electronics. This neuroscience measurement system offers more accuracy, cleaner signal, faster sampling, modular solution and more flexibility and expandability by utilizing the latest advances in digital signal processing. NeurOne is a versatile system and it can be used widely in different neuroscience and psychophysiological applications. 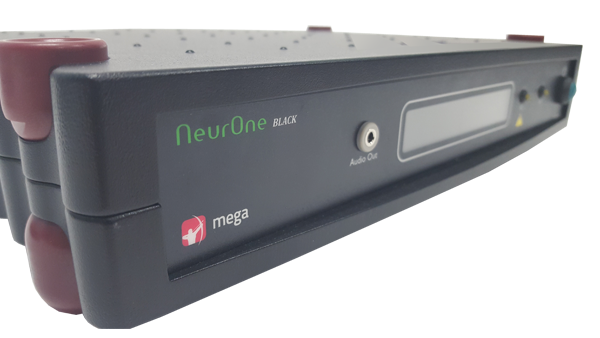 NeurOne Tesla is especially designed for use together with transcranial magnetic stimulators having extremely large dynamic range and special reduction technology to remove magnetic artefacts in short latencies. Advanced amplifier design enables using both AC and DC recording modes the way you want. Innovative Tesla MRI amplifier brings MRI compatibility to NeurOne. 24 bit sampling ADC running at 80 kHz! Modular in construction allowing from 40 to up to 1200 channels!! NeurOne system is multifunctional tool for both neuroscience and psychological applications. You can customize the system by combining it with other devices/modules like GSR sensor. NeurOne Tesla brings NeurOne technology to MRI field – Faster sampling and 24 bit resolution as well as MRI synchronized data acquisition. 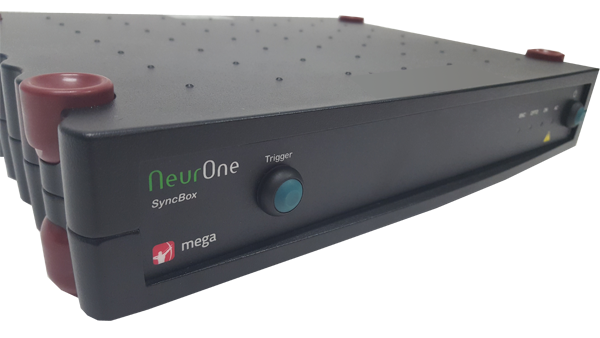 Same Multi Syncbox technology allows recordings up to 1200 channels with NeurOne Brainstorm.